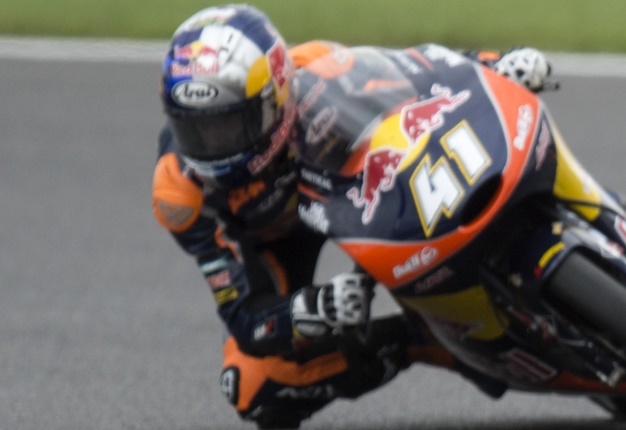 England - South African rider Brad Binder (KTM) looks unstoppable in his pursuit of the Moto3 title after he won the British Grand Prix at Silverstone on Sunday. The 21-year-old - who had suffered a rare hiccough when he fell in the Czech Grand Prix last time out - came home ahead of Francesco Bagnaia with Bo Bendsneyder claiming third for his first ever podium finish. Binder's task in winning the title became markedly easier when closest rival Jorge Navarro came to grief with just two laps remaining. Binder holds a massive 86-point lead over Navarro - 204 points to 118 - with six races remaining.